300 firemen, who died in WT center on September 11, became forever beloved American heroes. 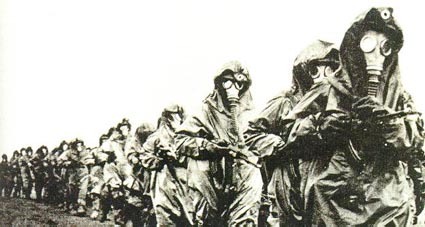 There were 700,000 Chernobyl Liquidators - including Chernobyl firemen, who arrived first to the scene and received lethal doses of radiation - people, who contained Chernobyl and prevented from even bigger disaster. 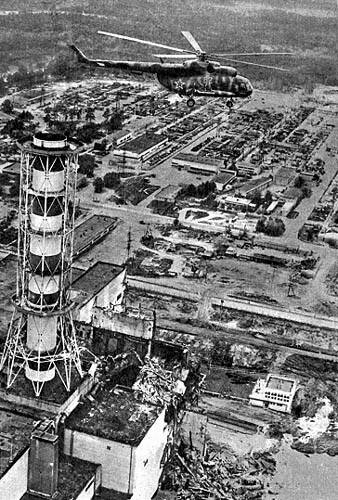 Chernobyl Liquidators received very little gratitude in totalitarian state that was USSR, and its descendant states. Many of liquidators died. The rest keep suffering strange illnesses and current governments and international organizations rarely recognize the link between those illnesses and Chernobyl radiation exposure. 97% of liquidators are men, 3% are women. Out of approximately 700,000 liquidators only 284,000 have records in USSR National Register, have official records of radiation dose that they received. Most of liquidators came from Ukraine and Russia. About 50% of liquidators (48%) entered Chernobyl zone in 1986. At this time (2005) majority of liquidators are between 40 and 50 years old. Below we collect some information about Chernobyl liquidators. We hope that this page can communicate some tragedy that these heroic people undergo right now. Seven of the roughly 600,000 reservists charged with performing emergency work at the site of the 1986 Chernobyl disaster are on hunger strike to protest their paltry disability payments. "It is as if the state wants us to die sooner," 48-year-old Igor Stolbikov told the AP. He stopped eating and drinking on April 20, insisting that it is impossible to live on the 3,000 rubles ($110) he receives every month. Another former liquidator, Sergei Kulish, has been on hunger strike since April 5. "Chernobyl liquidators keep dying one by one," Kulish told the AP. "They lose their teeth. They mostly cannot work because of their disability. And they get ridiculously low support from the state." Many of the liquidators were soldiers, workers or coal miners. They were charged with clearing rubble from the area of reactor no. 4 -- which overheated and exploded on April 26, 1986, spewing tons of radioactive rubble into the sky -- as well as with constructing the so-called "sarcophagus," the concrete shell intended to contain radiation around the reactor complex. The liquidators were granted a generous package of benefits in 1991, but that package has been cut back drastically in recent years. Ten of the 25 original benefits were eliminated in 2004, including free health treatment and public transportation. The hunger strike has received virtually no media attention in Russia. State-controlled TV has focused instead on Russian President Vladimir Putin's awarding of medals to former liquidators. Once the heroes of a nation, the first people to enter the Chernobyl power plant after Block 4 exploded 20 years ago are fighting for medical care after being forgotten since the breakup of the Soviet Union. "My friends are dying, one after another," he said. "The last one left us two weeks ago. I don't know if I'll have the strength to keep fighting." Like most "liquidators," Bertov has faced both physical and psychological illness over the past two decades. His medical chart has included everything from irradiation to heart disease, bronchitis, gastritis, extreme fatigue, difficulties with focusing. Specialists say all are consequences of the accident. "It's difficult to battle both sickness and oblivion," Bertov said. Of the 32,000 liquidators from Kazakhstan, there are now just 6,000 left. According to the Almaty-based Union of Chernobyl, some 4,000 former liquidators die every year in post-Soviet countries. Sasykulov is one of 4,500 Kyrgyz citizens who cleaned up the disaster in 1986-89. There are some 1,750 left in Kyrgyzstan at present. He says the children of the liquidators are also suffering from the consequences of the disaster. "Over 85 percent of [those remaining] are disabled," Sasykulov said. "There are 1,650 children born from the liquidators. Of them, 15 percent are badly sick and disabled. Our task is to address their social needs and also provide medical assistance. Lack of medicine is a big problem. Many Chernobyl liquidators die, many of them and their children are sick." It is now widely accepted that the Chernobyl accident has resulted in a massive increase in thyroid cancers in the three countries most affected. Already, 680 cases of thyroid cancer have been recorded in Belarus, Russia and Ukraine. Belarus has shown a 100 fold increase in thyroid cancers, from 0.3 per million in 1981-85 to 30.6 per million in 1991-94. Russia indicates a 10 fold increase form 0 cases in 1981-5 to 10 per million in 1991-91 and, Ukraine shows an approximate 7 fold increase from 0.5 cases per million in 1981-85 to 3.4 per million in 1991-94. Liquidators is the term given to the 800 000 workers who were involved in putting out the fire and undertaking the immediate recovery work. 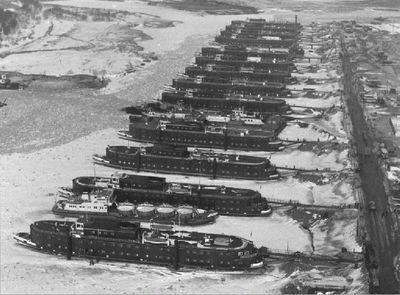 Despite the high doses that many of the liquidators received, there has been no internationally co-ordinated study to investigate the health consequences of the accident. According to the World Health Organisation, medical monitoring of some of the liquidators is already indicating growing morbidity and mortality rates amongst this group. According to the Belarus Government, thyroid cancer has increased 4000%, diabetes 700%, diseases of blood organs 840% and some malignant tubes 160% as well as a general reduction in the functioning of the immune system. Estimates by a major non-government organisation - the Chernobyl Union - indicate that in the Russian Federation alone, 10% of the liquidators are unable to maintain full-time employment, meanwhile the Russia Ministry for Civil Defence claim that 38% of liquidators suffer from some disease. At their 1995 annual press conference the Ukrainian Ministry of Health states: "According to inter-ministerial expert councils the 805 (60%) of ACCP (liquidators) deaths only in 1993 were connected with Chernobyl NPP accident effects, and 532 (77%) - in 1994 respectively." 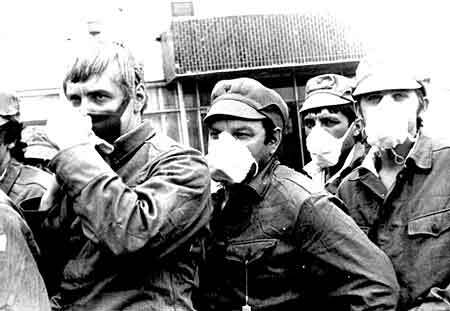 Chernobyl Liquidators - are those heroes who contained Chernobyl. They prevented from even bigger disaster that would include all other reactors of Chernobyl. They have built a sarcophagus around Chernobyl site to prevent from further contamination. During the first year after the accident, about 25,000 people, mainly Soviet Army troops, were dispatched to the site to clean up the accident. These so-called liquidators were estimated to have received doses of up to 70 centigrays (a gray is the international unit for measuring absorbed ionizing radiation and is equivalent to 100 rads, or 1 joule per kilogram). In the following three years, another half-million people assisted the effort and are estimated to have received lower doses (about 10 to 25 centigrays). The tasks performed by liquidators included shoveling core material off the roof of the undamaged part of the building, operating heavy equipment to contain contaminated soil, and building a concrete sarcophagus around the destroyed reactor. 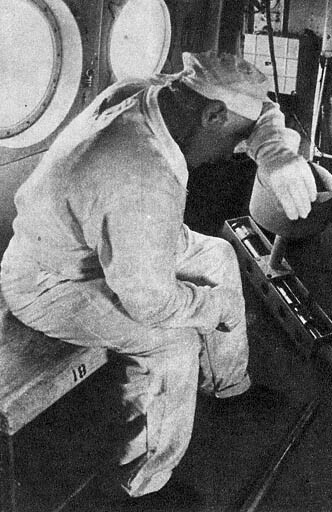 Depending upon the intensity of radiation exposure associated with their assigned task, most liquidators received radiation exposures over a period of at least several days, and in some cases over many weeks. LLNL has developed a method of fluorescent markers (FISH) to perform bio-dosimetry and measure the degree of genetic damage on cellular level. FISH has worked extremely well on Chernobyl victims," says Lucas, one of the original developers of FISH. He notes that the technique is useful because not every liquidator had a dosimeter, and memories of the nature and duration of work assignments for most workers are not reliable. The Livermore team says its population of liquidators (only 300 people under test - VG) received on average a dose of about 15 centigrays, as determined by FISH. Such a radiation dose is roughly equivalent to aging about 10 years or to smoking cigarettes regularly. The expected health consequences to the population under study from such an exposure are small. This study, which was published recently in the Proceedings of the Royal Society, reports research done by Weinberg and ten co-authors from Israel and Ukraine on the effect of parental exposure to ionising radiation on the DNA of the offspring of Chernobyl liquidators. The authors report an unexpectedly high (seven-fold) increase in the number of DNA mutations among children conceived after parental exposure over those in the their older siblings who were conceived before the accident. The authors conclude that `low doses of radiation can induce multiple changes in the human DNA'. The heroes of the drama were those who battled the reactor, despite the intense radiation: People who put out the fires, who pumped water into the reactor or bathed it in liquid nitrogen, who dropped sand and lead from helicopters, dived into pools beneath the reactor to open sluice gates, or burrowed under the foundations to install a system of heat-exchanging pipes. Ukrainian Union of Liquidators "Chornobyl"
Russian Union of Liquidators "Cherbnobyl"
Belarusian Association "Handicapped of Chernobyl"